Anheuser-Busch InBev has agreed to buy its main rival SABMiller for £68 billion ($104 billion), creating a super brewery with sales of $55 billion. 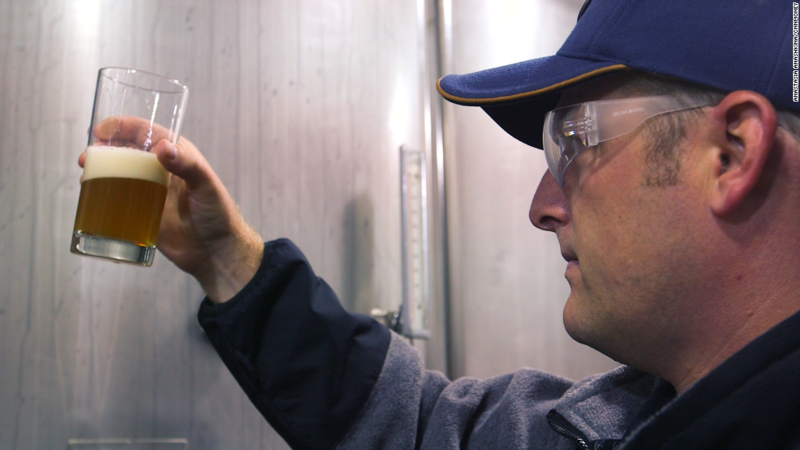 The combined firm will be the world's largest beermaker by far, with nine of the world's top 20 beers by volume. AB InBev (BUD) will offer most SABMiller (SBMRY) shareholders £44 ($67.59) per share for the maker of Miller Lite, Pilsner Urquell and Peroni, a premium of roughly 50% over the share price before acquisition rumors started flying. The two biggest shareholders -- Altria (MO) and Colombia's Santo Domingo family -- will have to opt for a cash and shares alternative worth £39.03 ($60) a share. Altria, a U.S.-based cigarette maker, had been pushing SABMiller's board to make a deal with AB InBev. If completed, it would be the biggest beer deal ever and among the top five acquisitions of all time. SABMiller had been playing hard to get. The brewer turned down at least four previous offers from AB InBev -- its first approach was worth £38 ($58) a share. SABMiller shares jumped 8.5% to £39.30, while AB InBev shares gained 1.8% to 100 euros. Antitrust regulators are likely to put the deal under a microscope. The concern is that the combined company would wield too much power in key markets, resulting in higher beer prices for consumers. In order to get the merger past the the U.S. Department of Justice, the firms could be forced to sell some of their assets in the country, including SABMiller's stake in the MillerCoors joint venture. Regulators similarly compelled AB InBev to shed some of its ventures following its bid for Grupo Modelo in 2013. Before that deal could be approved, Modelo's U.S. assets -- including Corona -- were sold to a smaller rival.